Here’s the full story behind Moira and her husband’s long wait for their first kiss. 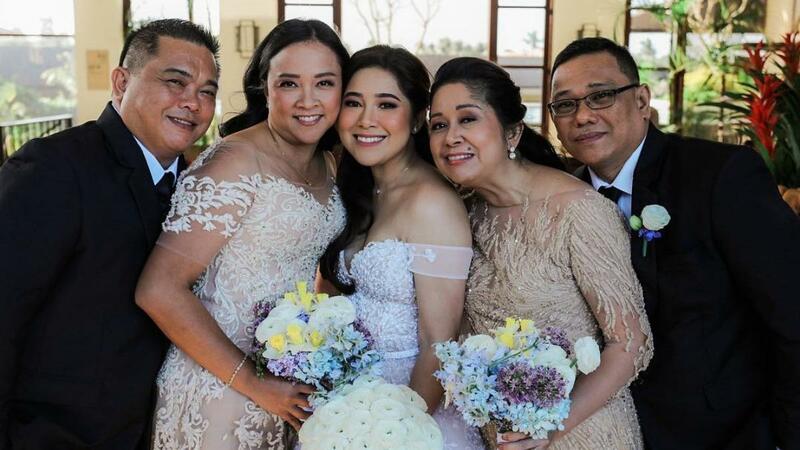 We know that Moira Dela Torre and husband Jason Marvin Hernandez waited two years to kiss for the first time because Jason promised her dad that they would have their first kiss on their wedding day. Now, Moira shares more of that story in a post dedicated to one of her two fathers, her Daddy John. 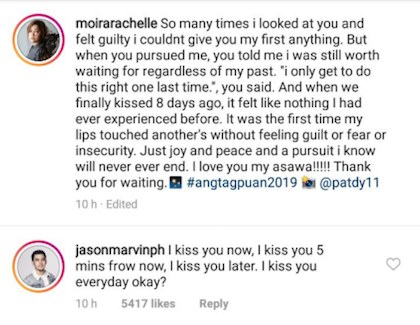 Moira says her first kiss with Jason was “the first time my lips touched another's without feeling guilt or fear or insecurity. Just joy and peace and a pursuit I know will never ever end.” Jason commented on her post, “I kiss you now, I kiss you five minutes from now, I kiss you later. I kiss you every day, okay?” Aww, you guys!